Една класическа, черна плетена гривна Bolo със значителна дължина от 59 см. Това означава, че трябва да я увиете около китката си три пъти. Закопчалката е направена от медицинска неръждаема стомана 316L, тествана е за никел и се закопчава с щифт. A very beautiful bracelet. Not disappointed by opening the wallet and once on the wrist very beautiful and fine. Good quality but particular length. 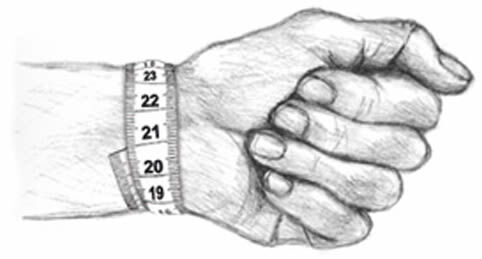 The length is standard but it is not adaptable to all wrist sizes. If I do 2 laps it is too long if I do 3 too tight. In 1 word ..... "top" !! Highly recommended! To all doubters .... "do"! The product was fine. We have just had a small problem, the leather was released at the lock, but within 24 hours we just had a new one. Great service .... a "real" recommendation! The product was fine, very nice bracelet. The leather has unfortunately come loose (at the lock), I have sent an email and after 3 days I had a new one in the mailbox .... I have only seen it seldom or rarely! You have a great customer service, a perfect service and you have super friendly people in service .... "chapeau"! A real must! For all the doubters I only have one word .... "do" !! Maybe interesting: The diameter of the closure is about 6mm. The diameter of the band is about 4mm. Nice quality at a good price. The bracelet is just as beautiful in real life as on the photos. It is made of beautiful material and exudes quality. Equipped with a nice sturdy closure. This bracelet is highly recommended!